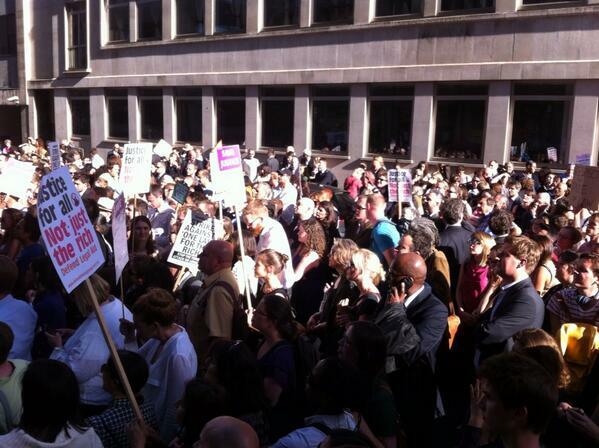 The government's consultation on Transforming legal aid ends today. 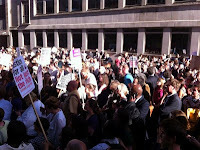 At court locations throughout England and Wales there were brief 'silent protests' just before 10 am. Over the next few days I will add to this post links to some responses to the consultation where the writers have chosen to publish them - for example, on their blogs or via legal practice websites etc. Inevitably, these will just be a sample of a very large number. They appear in no particular order other than the order in which I came across them. The Ministry of Justice has indicated that it will consider the responses and comment in the autumn. There are signs that the general public is becoming aware of the devastating impact of these proposals on their rights - e.g. to choose their own solicitor if charged with a criminal offence. The proposals of the Ministry of Justice in “Transforming legal aid: delivering a more credible and efficient system” (the consultation) are almost completely unacceptable for reasons which I put forward in this response. Perhaps the majority of people will never have need of legal aid but even the most law-abiding citizen cannot entirely discount the possibility. For example, a momentary lapse of concentration when driving may result in devastating consequences for another and result in the driver being charged with an offence requiring a trial in the Crown Court. A document prepared by the British Institute of Human Rights offers numerous other examples of cases where often vulnerable individuals have required and benefited from legal aid – (BIHR – Proposed changes to Legal Aid: Why this matters to us all). The right of the citizen to access the courts or tribunals is a fundamental element in democracy and, I believe, the proposals place excessive fetters on that right. The proposals also place the citizen charged with an offence at an immense disadvantage compared to the State funded prosecution. Of absolutely crucial importance in a democracy is the ‘rule of law’ and means must be available to ensure the legality of decisions taken by public bodies (including Ministers). Application for Judicial Review is one way in which the legality of decision-making may be tested by a citizen with sufficient interest to be permitted to take the matter to court. Contrary to popular belief, the legal profession does not advise any client to embark on judicial review lightly and, even if they do so, the judges are astute to weed out weak cases at an early stage. Placing further restrictions on access to judicial review is inimical to the rule of law. It would be, in many instances, a denial of justice. Given numerous statements by politicians, a rather sinister and authoritarian picture of governance is emerging and, on this, I hope that I am wrong. Withdrawal from the European Convention on Human Rights is not ruled out by the Home Secretary. That would appear to mean withdrawal from the Council of Europe of which the United Kingdom was a founding member and which has done immensely good work for the people of Europe. Civil legal aid has already been severely curtailed by the Legal Aid, Sentencing and Punishment of Offenders Act 2012 and many areas, of crucial importance to many ordinary people, no longer attract any legal aid apart (perhaps) under ‘exceptional funding’ rules. In this latest consultation we see proposals which, I submit, will have the effect of decimating the legal profession and making justice even more remote from the ‘hard working families’ which the government is usually arguing it supports. The proposals, if implemented, are bound to have major long-term adverse impact on access to justice, the right of the accused to have his case put to a court by a lawyer of his own choosing and the reputation of our country as a place where the rule of law is intact. The latter could well have serious economic consequences. I see no evidence that the public have lost confidence in legal aid though I acknowledge that certain types of case can be presented as particularly wasteful of resources. The media are fond of doing this: witness, the media coverage of the Abu Qatada deportation case and the Abu Hamza extradition case. We also hear of high lifestyle criminals on legal aid but this could be dealt with as a discrete issue. The vast majority of cases are simply not like that and such high profile cases should not be allowed to distort the picture. The consultation claims that our system is amongst the most expensive in the world. I believe that this is misleading and the consultation presents little evidence to support that stance. It is arguable that countries with lower legal aid budgets have higher costs in other areas – e.g. in the running of courts in inquisitorial systems. Argument on this may be read at AirLawDotMe and I urge you to consider this carefully. Finally, in this introduction, the massive costs of imprisonment should be noted. The UK has a very high prison population – e.g. almost double that of Germany. England and Wales have in the region of 80,000 prisoners at a cost of around £35000 p.a. per prisoner. A reduction in the prison population would make an immediate and very large saving. The law of sentencing, last fully reviewed in the early 1990s, requires a review and millions could be saved. I turn to the specific proposals. I do not agree that this should be further restricted. I also do not agree that it should be included in any new criminal contracts. In any event, prison law cases are not a large element in the legal aid budget. 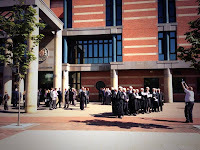 Prison law practitioners are, at present, rather a specialised element of the legal profession. Many do not practise general criminal law. The loss of this element of expertise would be a tragedy and the expertise would not become readily available to any firms granted a legal aid contract. Crown Court obviously handles the most serious cases and action could be taken to retain in the Magistrates’ Courts some of the lower level cases currently reaching the Crown Court. (Not everyone will agree with the latter but jury trial ought to be retained and used only for the most serious of cases). In principle, I do not really like means testing for the Crown Court. 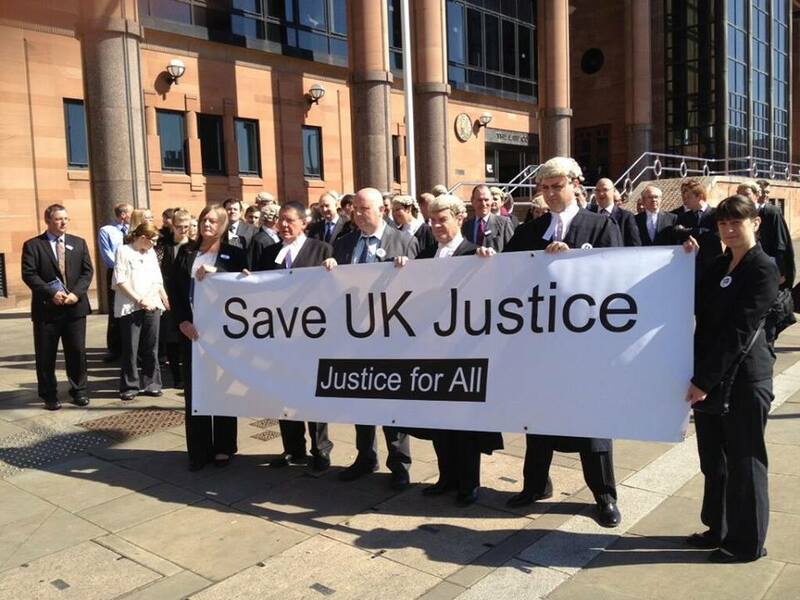 It would seem fairer to provide legal aid but require those found guilty to pay costs. This would force payment from those guilty persons with the means to pay. It is particularly unfair to get to a situation, as proposed, in which the acquitted individual who has paid privately will not recover full costs. This one year test appears to me to be arbitrary and it is hard to see why some who have lawfully entered our country should be denied access to justice. 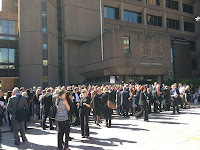 For example, what of the individual who is here seeking asylum from some foreign regime but who is experiencing some unconnected legal difficulty perhaps over accommodation etc. Denial of legal aid here will not necessarily stop the person going to court but he is then a litigant in person with all the problems and expense that brings. I therefore disagree with this proposal. I referred to this in my introduction. The attack on the rule of law here is such that these proposals should really have been drowned at birth. 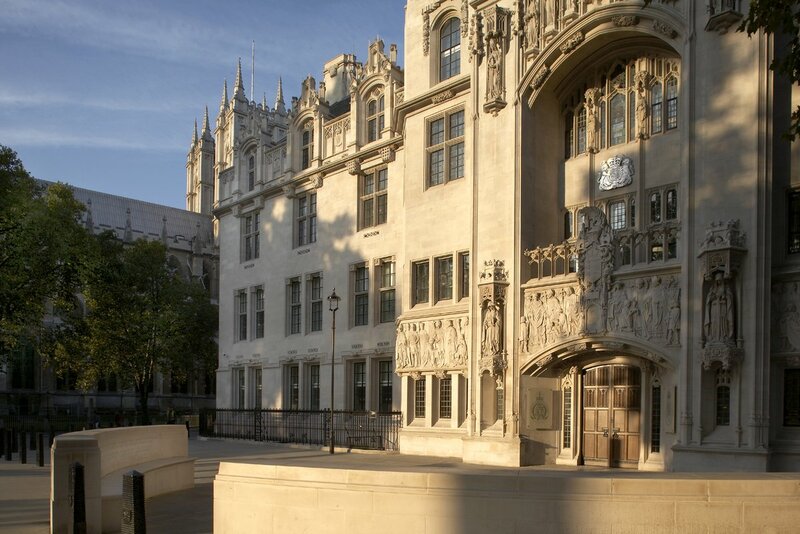 In practice, over half of potential judicial review cases do not even reach the ‘in court’ permission stage since they are settled or withdrawn as a result of timely legal advice. The judges are then astute to weed out unmeritorious cases. This reform is unnecessary. As far as I am aware, most lawyers do not advise JR where the prospects are less than 50% but cases can be envisaged where it might be in the public interest to fund a case even if, for the actual applicant, the prospects are low. Such cases occasionally arise and enable decisions on difficult points of law to be decided. The PCT proposals will have the result that many forms will be put out of business; the criminal bar will be all but destroyed. Very few lawyers will find it viable to work in criminal law and, in the longer term, where will the criminal judges come from? Our judges currently come from the ranks of the best legal practitioners (often Queen’s Counsel) and this system has proved its value of centuries and is the envy of much of the world. Many specialist firms will go out of business – e.g. those practising in fraud, prison law or terrorism cases. I do not offer specific answers to Qs 9 to 16 since I consider that PCT is an unacceptable model. It is also a very odd model of competition in which the State guarantees each provider in an area an equal share of work (assuming I understand this aspect of the proposal correctly). A further point is that the proposals care nothing for the public’s ability to easily reach their solicitor. A defendant in Town A may well have to travel to Town B to see his solicitor. Perhaps a journey of many miles in some parts of the country. The allocated solicitor will not know ‘repeat clients’ and so the client’s entire history may have to be considered. Even less acceptable to me is the effective removal of the individual’s right of choice regarding solicitor. One will be allocated with a low rate of pay and to whom throughput of cases will be the main consideration. The removal of choice is very strange for a government which usually advocates choice for the ‘consumer’. Timely advice and assistance by solicitor / accredited representative can save very serious problems arising which can be very expensive and difficult (sometimes impossible) to put right. For this reason, early stage funding is vitally important. I see no good reason to pay a lawyer the same for a trial as for a guilty plea and fees should not taper downwards just because a trial runs longer. (Judges should be well able to control the timescale of a case). The proposal to cut fees by some 20 to 30% is utterly unacceptable since it will drive away practitioners from criminal law. A more fundamental approach here might be to take a serious look at how these cases are handled. The amount of evidence in some cases can be massive and, sometimes, numerous defendants are tried together. It is perhaps time to examine the extent to which a different approach might be adopted. Only if necessary should perhaps be the general rule. However, the government is rather prone to using multiple advocates in some cases – e.g. 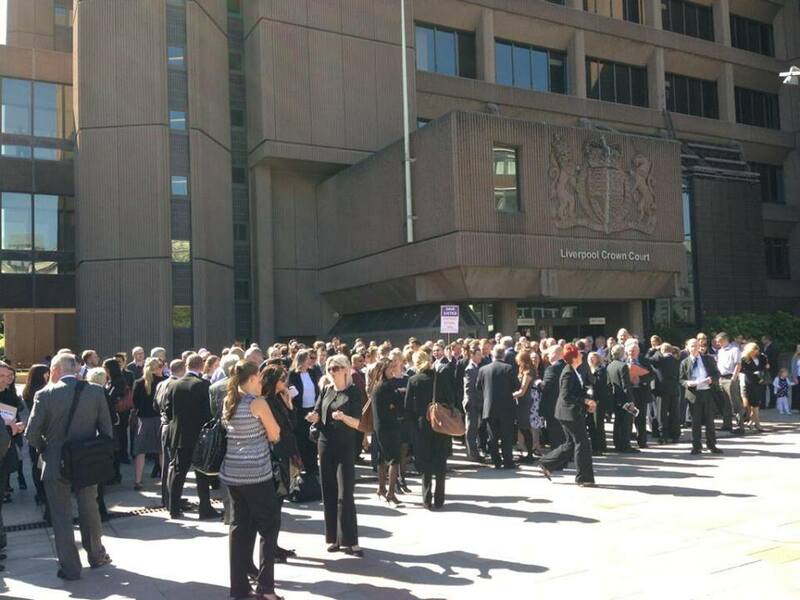 THREE x QC for Abu Qatada’s bail hearing! There are serious and difficult cases with many witnesses and extensive documentary evidence and multiple counsel seems justifiable in such instances. I ask whether a better approach might be to require judges, through case management, to control this. At this stage I disagree. The family courts are being re-organised into a unified family court. This does not seem to me to be the time to be cutting lawyers fees and possibly causing some withdrawal from famil law work. Once the new family court system has settled down it might be possible to revisit this area. I am not entirely sure what is being proposed. I suspect a downwards drift in fees! If so, many legal practitioners would not be able to continue. Many areas of civil litigation which continue post LASPO to attract legal aid are complex fields. Abolishing the uplift for appeals is unlikely to make this work as attractive but a reduction in the uplift might be possible. Expert witnesses are required to inform the courts on matters of specialist knowledge and they are a crucial element in good decision-making. A cut in fees of 20% is likely to make experts become unwilling to offer their services to justice. Quite clearly, several aspects of the proposals will adversely affect minorities. The consultation document is disingenuous in places and little evidence is offered to support the proposals. Seen from the standpoint of the rule of law, the proposals are seriously flawed and likely to lead to loss of legal expertise in the courts. Loss of the UK’s excellent reputation for justice is likely and this may well have serious economic implications given the huge contribution to the economy made by legal services – a point already accepted publicly by Mr Grayling. I would urge abandonment of this paper and suggest that HM Government gets to work with the legal profession and others to see how costs can be reduced. A question please. What proportion of cases require legal aid for 'new' defendants and what proportion of cases are for 'previous visitors'? If the preponderance is for 'previous visitors' this might tell us more/better lawyers are not the answer. I am not so sure it is that simple. In Magistrates' Courts (and to an extent in Crown) there are repeat offenders. Always have been and probably always will be. However, in this group come those who are repeat shoplifters etc. As you probably know, government policy is to try to rehabilitate such people - stopping the revolving door! There are also many defendants who find themselves charged with serious offences and who face, sometimes for the first time in their lives, a court. The most contentious of Mr Grayling's proposals is for Price Competitive Tendering (PCT). No matter who the offender is, we must not move away from offering good quality legal representation. Grayling maintains that his proposals will continue to do that. The legal profession generally disagrees and they argue that a reduction in the number of legal aid providers (to about 400 nationally) will remove the right to choose your solicitor and the providers will place the emphasis on case throughput. A guilty plea will get the same fee as a trial. There is no justification for that. The attack on judicial review is also particularly worrying. Is the government trying to immunise itself from challenge in the courts? It is beginning to look like that. When one looks at government reforms elsewhere - e.g. NHS; Court translation services etc - the signs are not encouraging. We see fat cat businessmen trousering millions and the quality of services being minimal. An extremely interesting post, you have covered a lot of information. There will always be a large divide in many aspects of the law and as it is ever changing there will continue to be more and more debates over how the system works. Legal aid priorities to serve to the interests of people with with quality services. They strive to engage our clients in finding solutions to their legal problems. 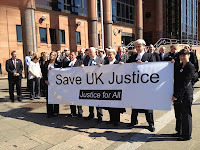 Nice blog it is that describes some of the important proposal related to Law & Justice. An experienced accident and injuries lawyer can very clearly explain the type of legal damages that can be claimed under the law and would help with the entire legal procedure. Some of the kinds of damages that can be claimed are for future medical expenses, for disfigurement, for loss of society and companionship, for lost wages, for lost earning capacity, for mental anguish and pain, or for permanent disability. The accident and injuries lawyer would always make sure that the person responsible for the injury is held accountable. Legal Aid: that was the week that was.